Welcome to the Home Remedies Special Member’s Club. 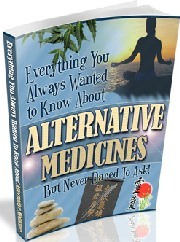 Today on the Internet there are literally thousands of eBooks, Manuals, Reports, Audio Programs and Videos covering a massive range of Natural Health Remedies and Related Health Topics and reviews with tips and advice on improving your health and alleviating many common and annoying and sometimes embarrassing health problems. However, it has to be said that some are excellent, some are fairly good and some are downright hopeless. We are currnently preparing a Special Membership Area that will provide at least TWO TOP Health Products such as eBooks, Reports, Manuals and audios etc. every month in an exclusive Private Member’s area. Most of these health related manuals are currently available on the Internet for prices ranging from $27 to $67 and in some cases $97. It is our intention to try to access the top selling and most popular of these and where possible provide access to our Private Members here on the site.